Planning to apply for a bank loan to buy a Superbike? Get a checklist from this article to know what all you need to be aware of before you submit a bank loan application for a Superbike in India. 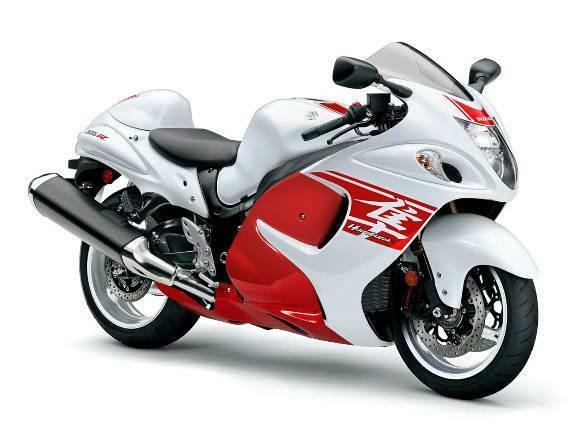 There are a lot of bike enthusiasts out there who dream of having a superbike like a Ducati or a Harley Davidson or a Suzuki Hayabusa. It is not only the youth who have such aspirations, but also older people. Women bike riders, too, have taken up the happy notion of going on road trips on the sleek, mean machines and having their own niche superbike clubs. Banks in India are cashing in, offering these customers special loan schemes to purchase a superbike. Before you check out the best offers from various banks in India, it is advisable to know that even if the banking institution says there are no "hidden" charges, you do need to read and be aware of all the fees & charges that are incorporated in the superbike loan finance scheme. First of all, there will be taxes for sure, be it a service tax or any kind of government tax, this dependent on the prevailing rate of that current fiscal year when you apply. Secondly, there will be a Stamp duty charge as well. Thirdly, a nominal documentation charge is also likely to be levied. Note that this will be separate from the processing fee of the application. Fourthly, it is advisable to compare the Rate of Interest (ROI) of various banks before making a final decision of which bank to approach. The ROI could start at 10% and go as high as over 25%. This depends on the tenure of the loan and other factors. The fifth aspect to keep in mind is that the ROI and the processing & documentation fees may change abruptly so do not necessarily go by what is mentioned at the official website. Find out directly from the bank itself the updated charges/fees/ROI. Standing Instruction: Known as SI, this means that you can give instructions to the bank to debit the EMI amount from your account with the bank. Naturally, for this you would need to be having an account with the bank, this being either a savings account or a salaried account or a current account. Electronic Clearing Service (ECS): You can have your EMI debited automatically at the end of the monthly cycle from an account in another bank. Post-Dated Cheques (PDCs): You can submit post-dated cheques of the EMI amount issued from another bank. For this mode of repayment, you will need to ensure that you do not delay in issuing PDCs regularly. The bank will let you know where you can deposit the PDCs. Finally, do read all the fine print of loan agreement document! A superbike is a dream for many to enjoy the pride of owning one, experiencing the thrill of zooming on one along the highway or a road trip. For instance, the most popular Harley-Davidson bikes in India are the Street-750 and Street Rod which come under CKD and hence an economical than the CBU counterparts. In general terms, a CBU bike or car for that matter would be 30% more expensive at the point of purchase than a CKD one.